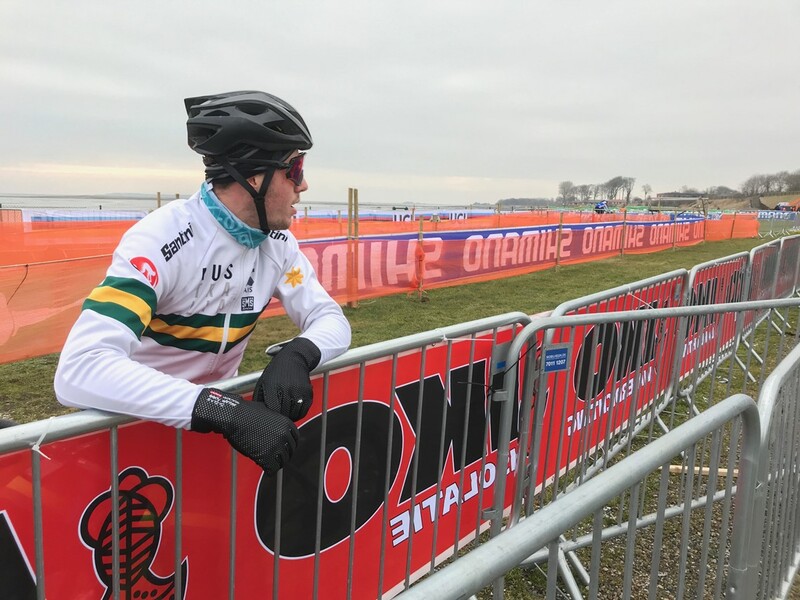 The 2019 UCI Cyclocross World Championship Under-23 race took place Saturday, February 2, in the town of Bogense on the Danish coast—where there's a constant, cold sea breeze this time of year and temperatures struggle to reach 0 degrees. 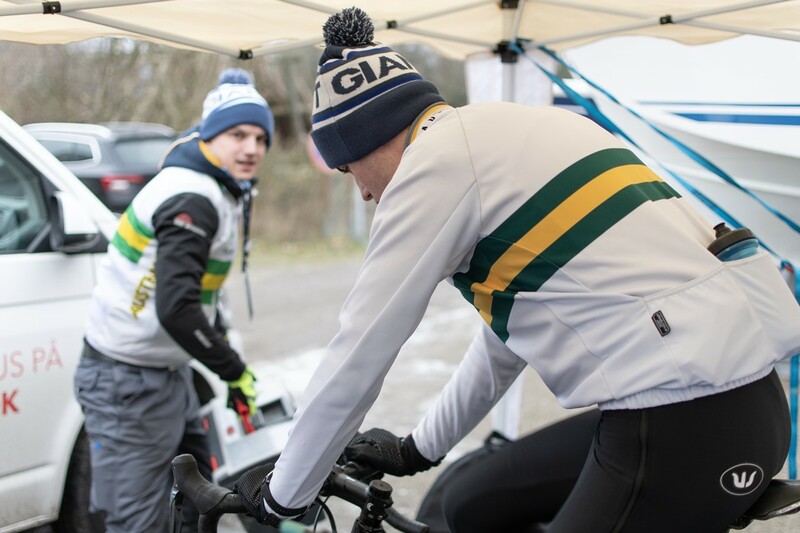 I arrived on the Thursday before the race for the official course practice and pulled on plenty of layers to stay warm. The ground was frozen resulting in long, bumpy straight sections mixed with slick corners and a single hill we traversed multiple times throughout the lap. My aim for the day was to get a feel for the course, and the practice session left me feeling confident. The next day conditions had changed a bit. 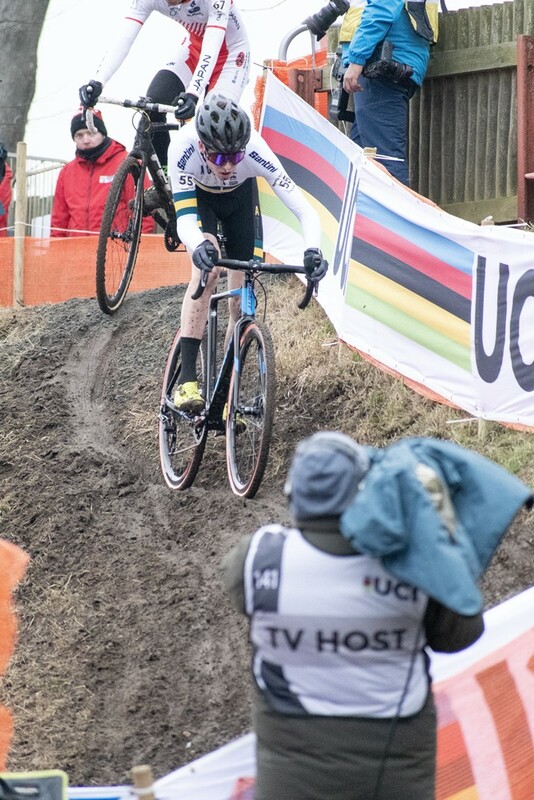 As more riders were riding the course, some corners had become much muddier. Official course practice would give me a good idea how much this track had changed and would change before my race the following day. I brought a few sets of Shimano Dura-Ace C40 tubulars wheels with me, some paired with FMB Grippo Speed tires and others with FMB mud tires. I decided to give both types a try and found the intermediate Grippo Speed tread well suited to the conditions at the time. From there, I played around with tire pressures and rode a few laps on the mud tires. The two hours of practice started taking their toll on the course. By 4 pm it had changed into a slick layer of mud on top of the frozen ground. This made it hard to get any traction at all coming in and out of corners, and the descents were getting chopped up with braking bumps, ruts and bog compressions at the bottoms. When course practice was done, it was time to rest up and recover before the big day. Back at the accommodation, my mechanic Jeroen pulled both Giant TCX Advanced Pro bikes completely apart and made sure they were in mint condition by the morning of the race. 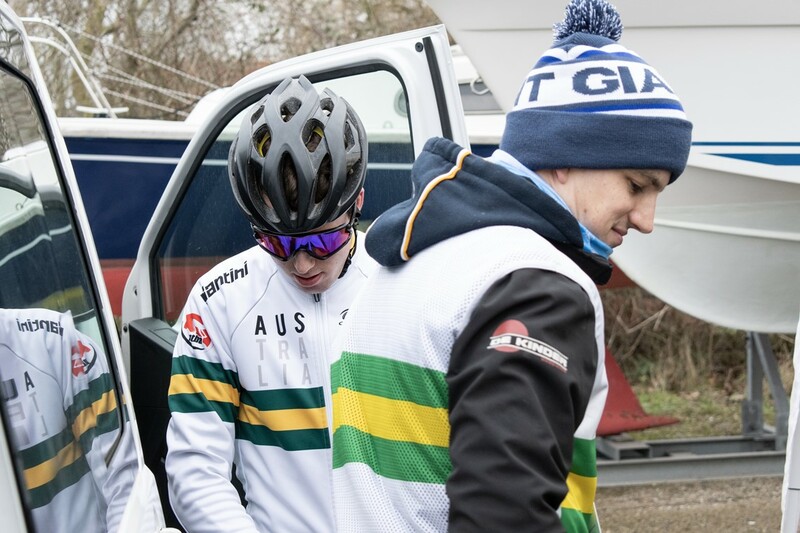 With winter conditions brutal on bikes and equipment, this is one of the most important parts of race preparation. For me, it was my usual pre-race pasta dinner and off to bed for an early night. The race start was scheduled at 1 pm. Unlike the past couple World Cups with 11 am start times, it was nice to have a more relaxed morning. By the time we drove into the venue at 9 am, I started to get a feel for how special a World Championship atmosphere is. Spectators from all over the world were getting ready to support their favorite riders and have fun partying and heckling riders from rival nations. The course had dried substantially and was running a lot smoother. This was going to be a super-fast race! My excitement and anticipation were building, but I had to calm myself and get into the right mindset before the race. 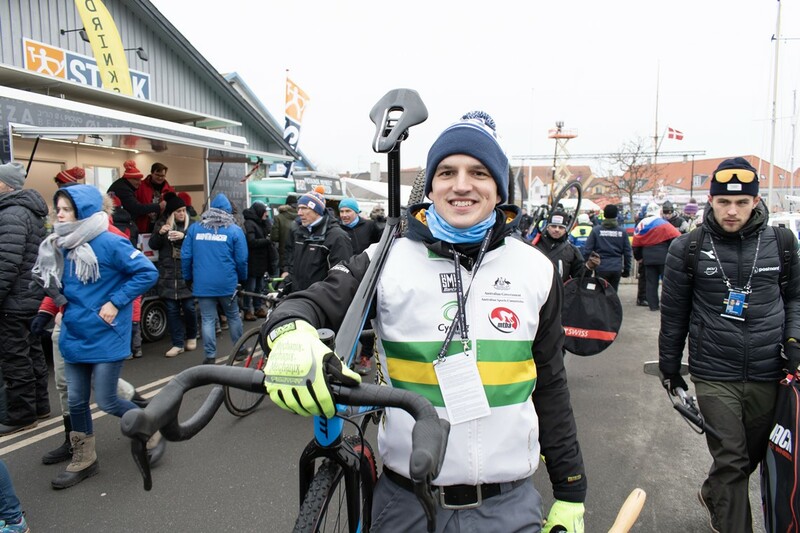 I finished my warm-up ritual about 15 minutes before the start and made my way to the start area for call-up. All riders are seeded on the start grid based on the UCI points accumulated over the season. 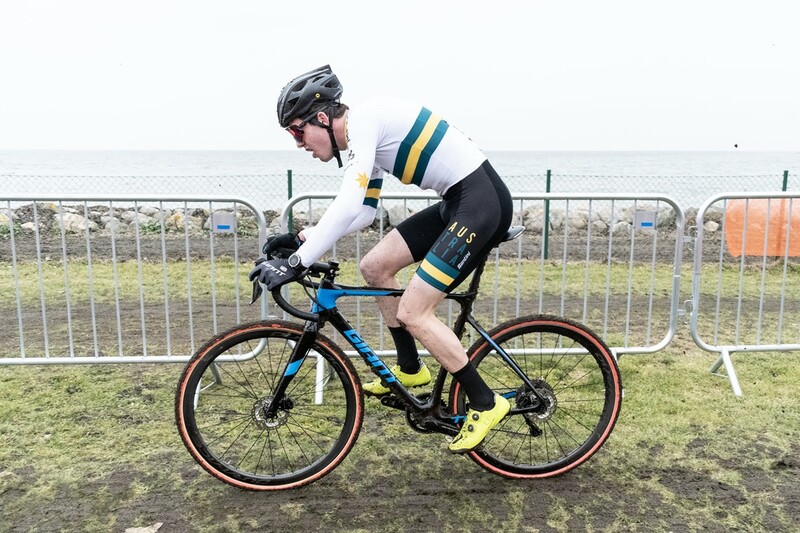 Unfortunately, as a result of breaking my leg during the Australian CX season and missing the chance to score points, I was forced to start the race from the back row. As the nerves pushed my heart rate up, the start lights turned green and the race was on! The start was fast but everyone made it through the first corner cleanly while the smell of burning rubber filled the air. My start was good and I moved my way up from the back. 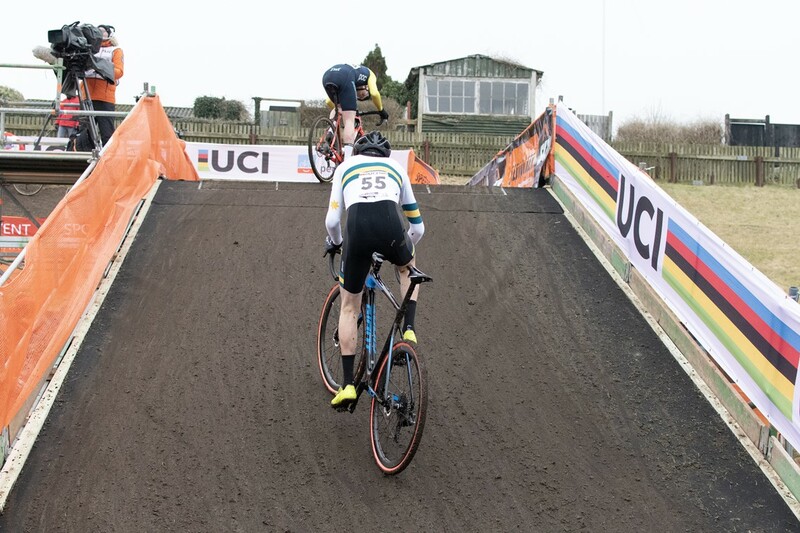 As we hit the grassy section, I was taking every opportunity I could to move up and I managed to pass more riders going into the second corner. The lead riders were setting a blistering pace and the field quickly strung out. 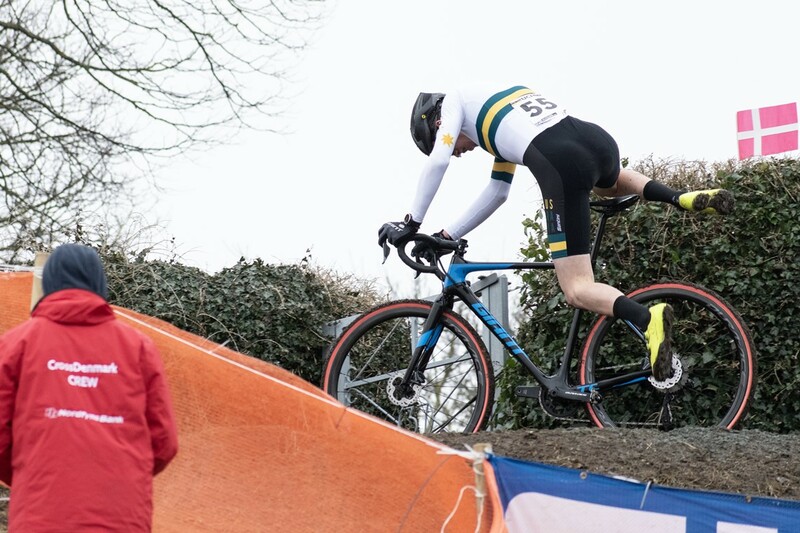 Cyclo-cross is all about riding on your limit for an hour and as we hit the hill for the first time, my legs and lungs were burning. There were riders on both sides of me down the first descent, but by staying off the brakes for a fraction longer, I overtook them and latched onto a larger group where I settled in for the next lap. Even though I had a good start, I started fading in the later laps and lost positions throughout the rest of the race. At the end, I was proud to finish but couldn’t help but feel disappointed with my final result. 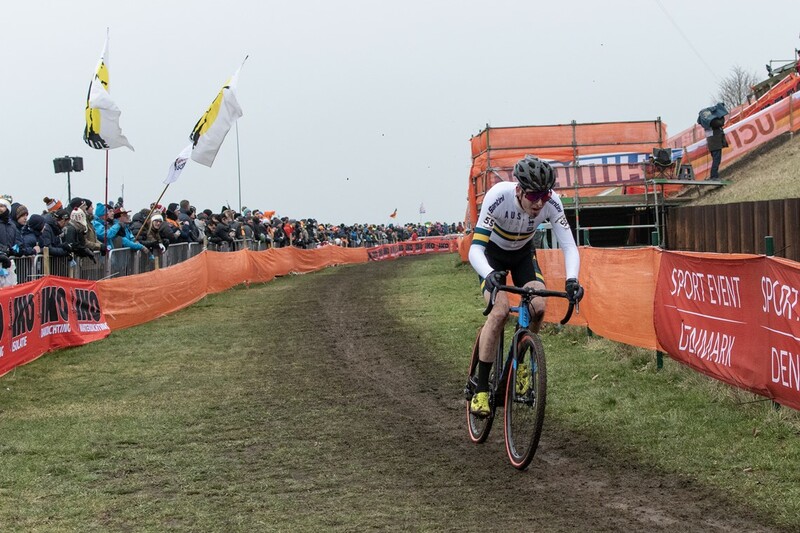 I knew I was capable of more, but despite the result I had an incredible day racing in front of such a large crowd. I'm proud to have worn the green and gold on the world stage.